On this page are links to the certified nursing assistant classes in Illinois that are listed by city. Click on a city to find all of the available nursing assistant training programs for that location. Classes included are public schools, private colleges, and health care facilities. By visiting a city link below you’ll find additional details such as the school address, phone number, and website. Before enrolling in a CNA school make sure the program is state approved and meets the requirements for type of instruction and amount of hours of provided. CNA classes in Illinois provide the way into working as a nursing assistant in this state. It is an important requirement before one can take the exams and be certified as a nursing assistant to be eligible to work. The state has various rules regarding facilities and schools that offer training before they can be approved as a state approved facility. Without the state’s approval, anyone who has completed a nursing assistant course in a facility will not be eligible to take the state competency exam for nursing assistants. Certified nursing assistants or nurse aides work closely with patients in monitoring their health and in helping them with their daily personal needs. They help in the making of beds, feeding patients, and in their bathing and grooming. They also take their patient’s vital signs such as their respiratory rate, heart rate, and their body temperatures. If authorized by their supervising nurses or physician, they are also allowed to administer the patient’s medication and give IV fluids. A CNA student should have at least 16 hours of classroom training before they can be allowed to have contact with an actual patient in a nursing facility for their practical training. CNA training programs that are approved by the state requires 120 hours of both classroom and practical training before anyone can be allowed to take the state exam. The minimum age for one to be admitted to the training is 16 and some facilities also require a high school diploma. The state also requires applicants to undergo a physical exam in order to determine if they are capable of taking care of patients. They also need to pass the state and federal background checks before they can be admitted as students. Those who also have disqualifying convictions such as crimes involving theft, drugs and violence will be prohibited from taking the course. One has to take the state examination within two years of completing the course. Click this link for more information about CNA certification requirements in Illinois. The Illinois Department of Public Health is the one that oversees the approval of training programs as well as the licensing of nursing assistants in the state. They also maintain the state’s registry of nurse aides which can be found at www.idph.state.il.us/nar. Employers can track if an applicant is currently certified and also find approved training programs through their website. There are several schools which offer CNA training courses in the state of Illinois. There is the Joliet Junior College which offers the training for 154 hours and the NIC Workforce Training Center which offers the course for $625 in an either online of hands-on training for 20 sessions. The fees include the needed training books as well as other materials that will be needed for the training. 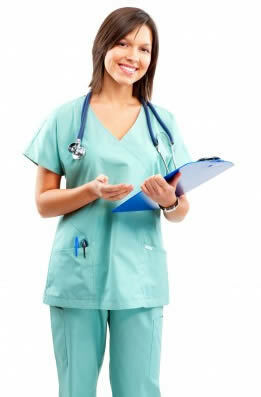 There is a good job outlook for those who would like to work as nursing assistants in Illinois. The state has recently experienced a high demand for nursing assistants and there is a continued pattern of growth for the past months. Once can expect a salary of about $25,000 per annum if they work as a nursing assistant in this state. The expected hourly wage is about $11.32 to $12. Do you know of any state approved CNA schools that are not shown on this website, or does any of the information on this directory appear wrong, or out of date? If so contact us so we can add the information or update this page.